Marriott Hotels Going up 25,000+ Points per Night to New Category 8 – Book Before Time Runs Out (and Pay Later) at Current Rates! If you want to stay at a fancy Marriott hotel in the next year or so, you have ~1 month to book before higher award prices kick in on January 1, 2019. This is because Marriott is introducing a new Category 8 level. And you’ll pay 25,000 MORE points per night for the same hotel once the new category is introduced. They’ll also have peak pricing that’ll cost an additional 40,000 points per night. The good news is you can book a Marriott stay ~11 months in advance. And you don’t even need to have the Marriott points in your account to book (but if you want more Marriott points, here are all the ways to earn them). The Miami Beach EDITION Is One of 61 Hotels Going up in Price Starting in January. Book Your Marriott Stays Now to Lock-In Lower Rates! Marriott Category 8 Pricing Will Begin in 2019 – Secure Lower Rates Now! Right now, the most you’ll pay for a top-tier Marriott hotel is 60,000 Marriott points per night. Even better, you’ll get the 5th night free on award stays. 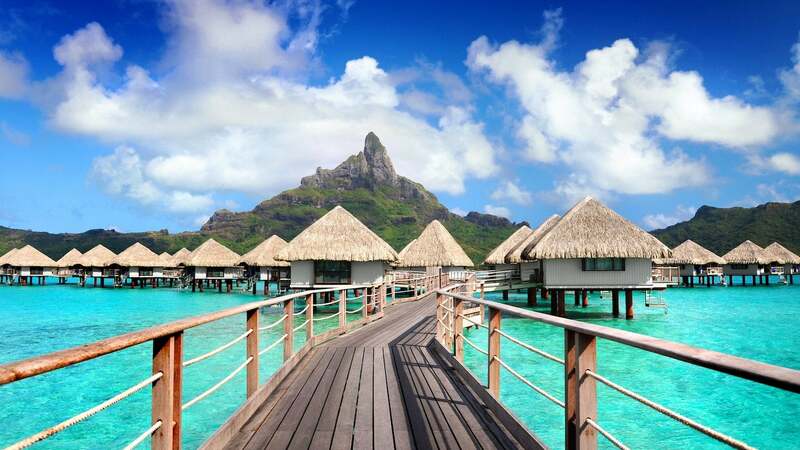 So you can stay 5 nights at excellent hotels like the Le Meridien Bora Bora or Ritz-Carlton New York, Central Park for 240,000 Marriott points. But starting January 1, 2019, 60 hotels moving to the new Category 8 tier will cost 85,000 Marriott points per night. That’s 25,000 more points per night than you’ll pay right now! And Marriott will have peak pricing at certain Category 8 hotels. During popular times, you’ll pay 100,000 Marriott points per night. So for a 5-night stay during the high season, you’d pay 400,000 Marriott points. The good news is you have the rest of 2018 – about a month – to pay the current prices. This way, you’ll avoid the new top-tier category price and peak pricing. Even better, most Marriott hotels are open to book 350 days (~11 months) in advance. So you could book a vacation for fall 2019 in the next month and save a lot of points. If you don’t have enough Marriott points in your account, remember Marriott allows points advances. That means you can book a stay, and as long as you have the required points in your account at least 14 days prior to check-in, you’re good to go. Plus, most Marriott hotels have liberal cancellation policies, but it varies by hotel. If you speculatively book a stay, be sure to note it, in case you need to cancel. Think big and get your stay booked before these changes kick in! There are 5 cards that earn Marriott points directly (the 3 above, plus the Marriott Rewards Premier Plus Business Credit Card and Starwood Preferred Guest® Luxury Card). The information for the Marriott Rewards Premier Business Credit Card and Starwood Preferred Guest® Luxury Card has been collected independently by Million Mile Secrets. The card details on this page have not been reviewed or provided by the card issuer. You’ll earn a welcome bonus of 75,000 Marriott points after spending $3,000 on purchases in the first 3 months of opening the Starwood Preferred Guest® Credit Card from American Express or Starwood Preferred Guest® Business Credit Card from American Express. And with the Marriott Rewards® Premier Plus Credit Card, you’ll earn 2 free night awards at hotels costing 35,000 points or less after spending $3,000 on purchases in your first 3 months from account opening. The free night awards from the welcome bonus aren’t eligible to book category 7 (soon 8) hotels, but the points you’ll earn from ongoing spending can boost your account balance. If you’re close to an award stay and want to top-up your account, remember you can transfer Chase Ultimate Rewards points to Marriott at a 1:1 ratio because Marriott is a hotel partner. This usually isn’t the best use of Chase Ultimate Rewards points, but if it gets you enough Marriott points for a fantastic free stay, it could definitely be worth it. Starting January 1, 2019, you’ll pay 25,000 to 40,000 more Marriott points per night for 60 hotels moving to the new Category 8 level. But if you book before then, you’ll pay the current price of 60,000 Marriott points per night. As long as you have enough points in your account 14 days before your stay, your reservation will be honored. So you can still earn Marriott points for an incredible stay later in 2019 even if you don’t have them in your account right now. And you can book most Marriott hotels ~11 months in advance. Just be sure to note cancellation policies in case you can’t make it. Remember, you’ll also get the 5th night free on award stays, so get a free night included if you can! Will you plan a Marriott stay before the end of 2018 to lock-in lower prices? Is the last date to book Dec 31 or January 31, 2019 as Category 8 award pricing takes effect in February 2019. Tried to book several of the 60 hotels mentioned, not having enough points yet. They do NOT allow booking unless I purchase the points now. What gives? I’ve seen conflicting info…when exactly does Marriott Category 8 kick in? Jan 1, 2019 or Feb 1, 2019? They just keep devaluing the points. They said nithing would change on the merger. It looks like they kept their word or not. So disappointing.